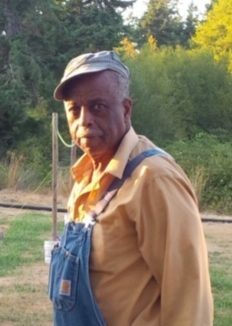 Henry Timothy Foxx Jr, age 81, peacefully answered God’s call to eternal rest on Wednesday, Jan. 23, 2019 at his home in Oak Harbor, Wash.
Sonny, as his family affectionately called him, the second of six children, was born July 13, 1937 to the late Henry T. and Annie Mae Foxx. He was a native of Charlotte, N.C. After graduating from high school he relocated to Wilmington, Del. Shortly after arriving in Wilmington he was drafted into the Army and served his required term and was honorably discharged. At the age of 19, Henry and Joyce participated in a wedding and being the two tallest, they walked together, not knowing one day she would be his wife. Years later they met again at her niece’s wedding in Virginia Beach. A year later they became husband and wife. Henry worked in a variety of professional fields, including pipe layer, while working on the Trident Submarine, Manager/Owner of Service Station on the Pennsylvania-Delaware Turnpike, Owner of a restaurant in Wilmington, Delaware, Real Estate Agent and School Bus Driver (while in high school). Upon arriving in the Northwest, he opened TeeJay’s Barbeque Restaurant. He leaves to cherish his memory his wife of 28 years, Joyce Foxx; two sisters, Jean Chandler and Chris Brunson (Joe); his sons, Henry III (Brandy), Elgin (Teresa), and Elvin (Tiffany); and daughter ,Amber (Kristofor); and many nieces, nephews, cousins, grandchildren, great grandchildren and great-great grandchildren. Henry was preceded in death by Sisters Grace Friday and Nell Foxx and Brother Walter Foxx. A celebration of life will be held for family, friends, and others whose lives Henry touched at the Church on the Rock, 1780 SE 4thAve. Oak Harbor, WA, starting at 2:00 pm on Saturday, Feb. 2. Arrangements entrusted to Wallin Funeral Home, Oak Harbor, Wash. Please visit Sonny’s page in our Book of Memories online at www.wallinfuneralhome.com to share memories and leave condolences.